EuroBrussels is the central job source for well-educated professionals who want to work in law, politics, economics and communications in Brussels, and other cities with European Affairs and International Relations jobs. Through professional experience we know the European Affairs community, its institutions, organisations, websites and working procedures - this is why we are able to create a pioneer service for a large professional international audience. (Data is based upon Escape Insites' user survey of almost 3000 respondents, and market standard statistics tools such as Google Analytics and MetriWeb). The EuroBrussels audience has grown rapidly and organically over a relatively short period to over 80 000 unique monthly visitors. This is because professionals who have been using our web site regularly over the years continue to recommend EuroBrussels to friends and colleagues. The EuroBrussels Newsletter is sent to over 90 000 focused career movers every Tuesday and Thursday. 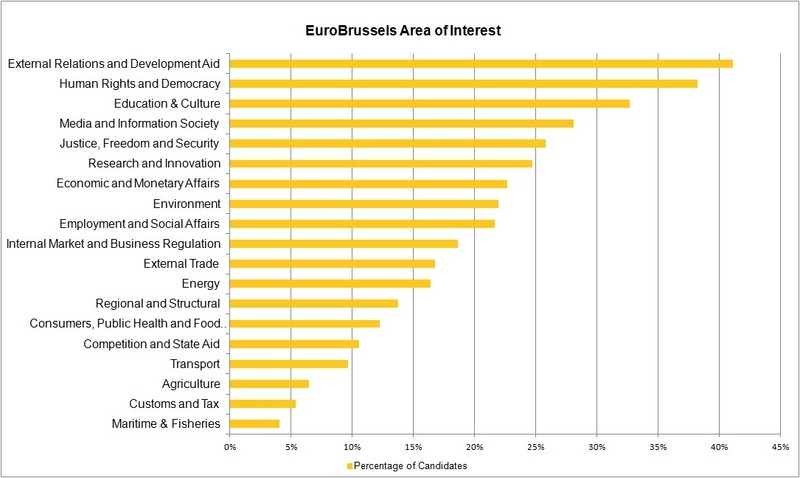 EuroBrussels is a highly focused site, reaching a higher number of qualified people on a more regular basis than any other Brussels recruitment medium. Active subscribers to our newsletter. Send us your job now! We will display your job today - send us a link now. Forward this page to anyone who is recruiting - we can save them money, time and produce better results. They will thank you!